Visit the KIITEE official website and click on the Result link. Download and take a printout of the result for further reference. Result Date: The KIITEE 2019 Result will be announced by the KIIT for all the courses on 30th April 2019. 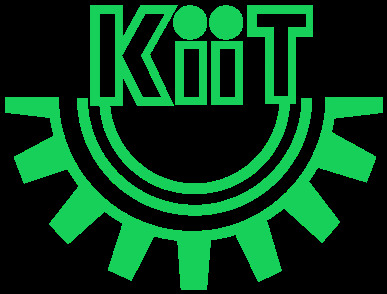 Merit List: Allotment of courses in KIITEE is done on the basis of merit list which is prepared by KIIT University after the results are announced. Merit list will be produced on the basis of marks scored by the candidates participating in the competitive examination. Cut-off: Kalinga Institute of Industrial Technology prepares the cutoff list and it is released in the first week of May. KIITEE 2019 is announced in the form marks based on which merit ranks are assigned. Step 2: Check for the 'KIITEE 2019 Results' link on the webpage and click the link. Step 3: A new page will be opened where the candidate has to fill the Application Number and Date of Birth and click 'Continue'. Step 4: Now the Results will appear on the screen in the form of Scorecard. Step 5: Candidate can download the scorecard and take multiple copies for the counselling and admission purpose. Step 6: Candidates who have cleared the exam will get notification regarding the counselling and other processes. KIITEE 2019 Answer Key will be published by Kalinga Institute of Industrial Technology within a few days of the conduct of exam. Click on the “Answer Key” option available in the list of options available on the right-hand corner of the page. B.Tech (4 Years): On the basis of marks obtained in Mathematics, then in Physics and then by age (preference to older candidates). MCA / MCA (LE): On the basis of the marks obtained in Computer Awareness, then Mathematics and then by age (Preference to the older candidate). M.Sc. (Applied Microbiology/ Biotechnology): On the basis of marks obtained in Biology, then Chemistry, then Mathematics and then by age. (Preference to Older Candidates). Will there be a KIITEE merit list? Yes, the KIITEE merit list will be prepared by a competent authority based on the cut-off decided. Where will the KIITEE results be displayed? The KIITEE results will be displayed on the Official website. The candidates have to enter their application number to access the results. Will the KIITEE 2017 results be sent to us by post? The KIITEE 2017 results will be available on the Official Website of the University. I have lost my Admit card of KIITEE 2017. Is Application provided necessary? The KIITEE 2017 results can be checked from the official website with the use of their KIITEE Application number present on your admit cards. So, it is necessary for a Candidate to preserve his/her Application number o check results. May I know how and when can a Candidate check their result of KIITEE 2017? The Candidates can check their KIITEE 2017 results from the official website with the use of their KIITEE Application number present on their admit cards. when will the results for 2017 KITEE applicants be available? The results for KIITEE 2017 will be released on 15th May 2017. On what basis will the merit list for KIITEE be prepared? The merit list will be prepared based on the cut-off decided. It will be prepared by the competent authority after the declaration of results by the 3rd week of June.